A couple of weeks ago James Pankiewicz and I headed down to Tomigusku to the dojo of 9th dan gojuryu karate master Shigetoshi Senaha. 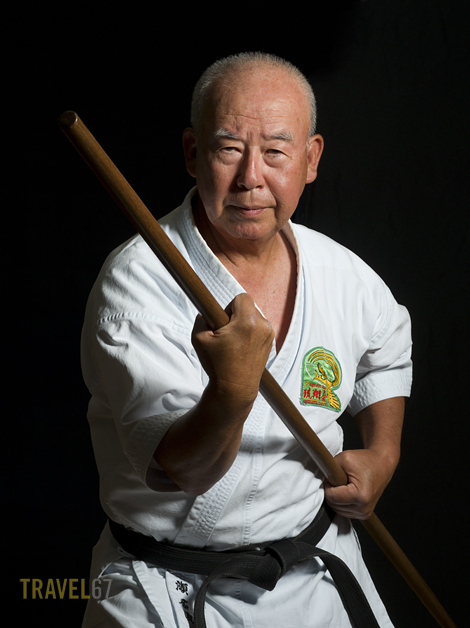 I had been hoping to photograph this particular master for a while as he is the sensei of a good friend of mine James East. Senaha sensei posed for the portraits and then showed us his old photo albums. Through a series of small black and white photographs, we were taken on a journey through Senaha’s life, and through his karate career. There were images of him training as a young man in Okinawa and later performing at the opening of the Budokan in Tokyo. 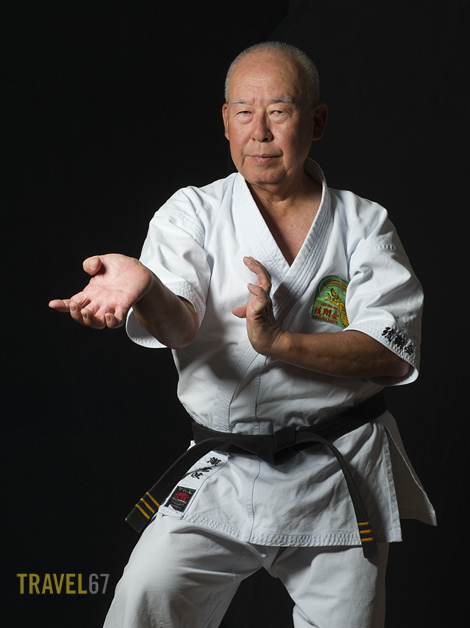 Many of the recent photographs were of him touring other countries, spreading karate around the world. 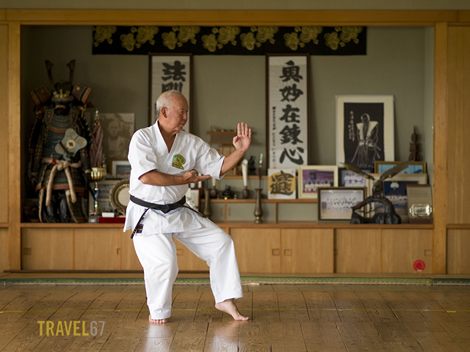 Before I left, I took a photograph of Senaha-sensei performing a kata in his dojo. Perhaps he’ll add it to his album, to be shown to other lucky visitors at his dojo. 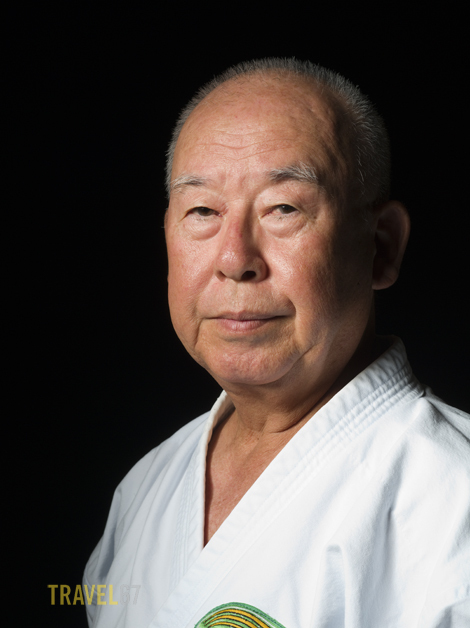 9th dan Gojuryu Karate Master Shigetoshi Senaha at his dojo in Tomigusku City, Okinawa.